Several residents attended this past CAP18 Annual Meeting in Chicago. 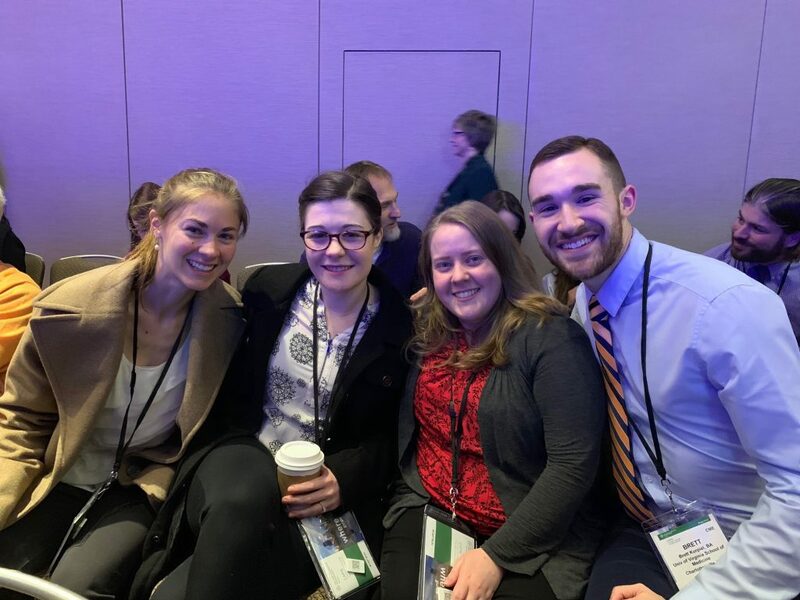 In addition to representing UVA residency at the Residents’ Forum (Jennifer Ju, PGY-3, and Jacob Curley, PGY-3), three current residents (Ashley Volaric, PGY-3, Anna Dusenbery, PGY-2, Rachel Whitehair, PGY-2) and a previous post-sophomore fellow (Emily Towery) presented research posters. 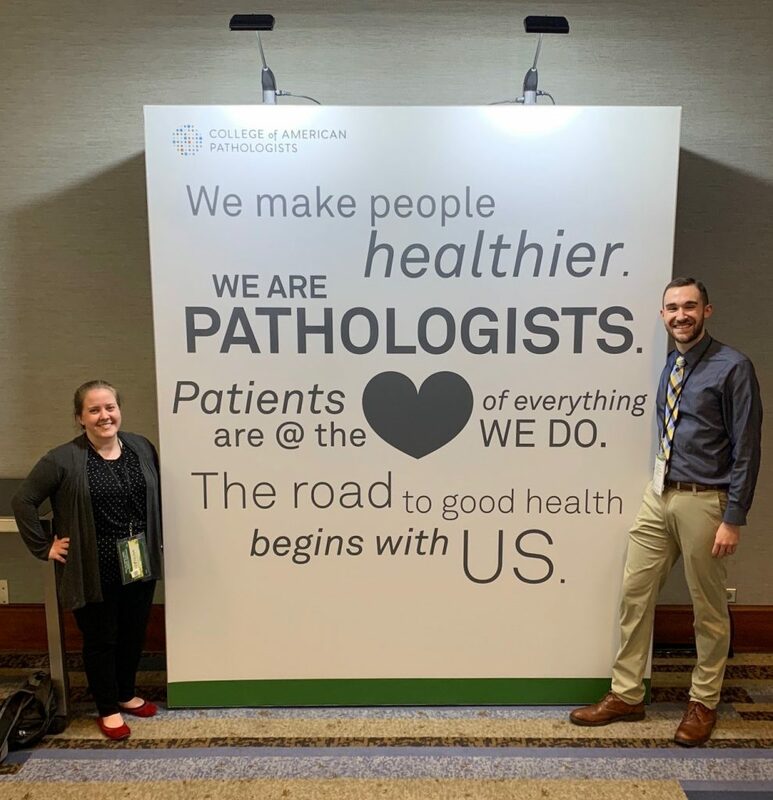 Both Emily Towery and UVA medical student Brett Kurpiel were awarded the CAP 2018 Medical Student Travel Award, given to support future pathologists. 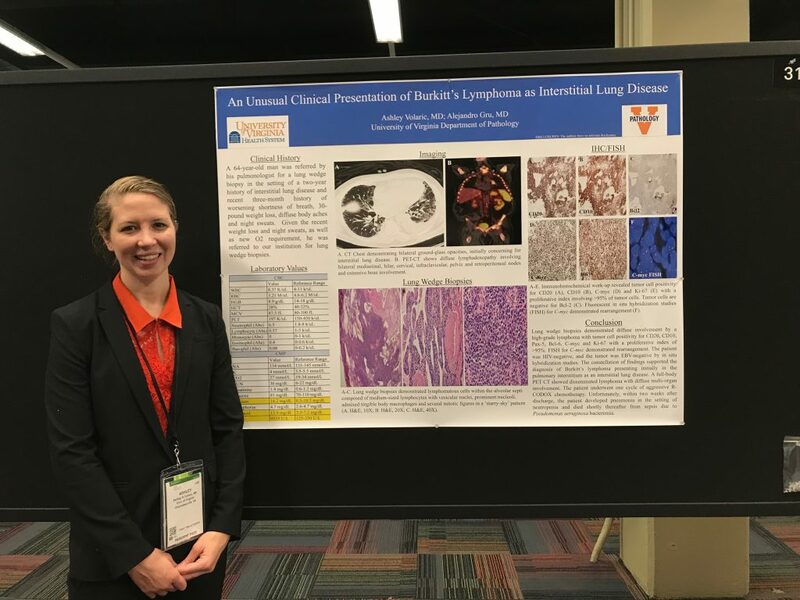 Highlights of the meeting included attending various didactic educational sessions that included evaluation of peripheral blood smears, hemepath-cytology correlation on FNA biopsies, and evaluation of common soft tissue tumors. The meeting was an excellent opportunity to present research and learn from a wide array of educational sessions led by experts in the field.